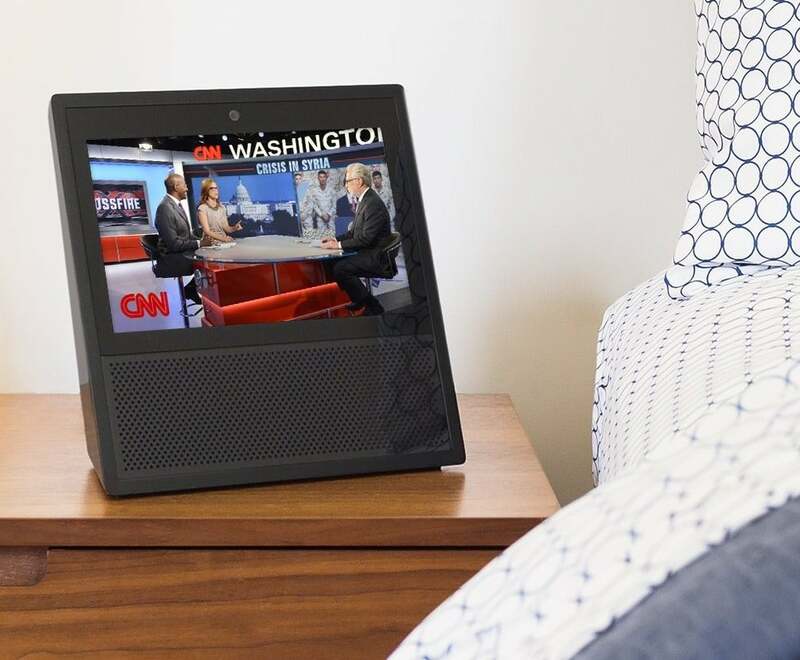 The Echo Show will keep Amazon a step ahead of its competitors as smart speakers heat up. Amazon's Echo is getting a touchscreen. 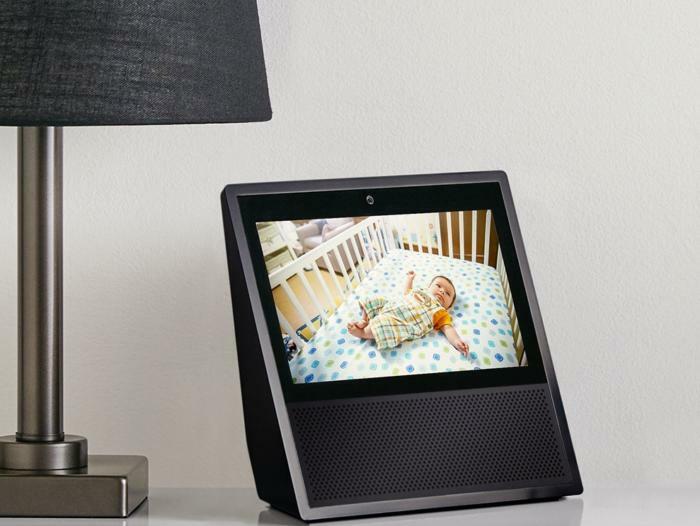 The online retailer introduced the Echo Show on Tuesday, and it looks exactly like the images that popped up online last week. The $230 Echo Show features a 7-inch touchscreen and dual 2-inch stereo speakers. It can do everything that an Alexa-powered device can do right now, including access third-party skills, tell you the forecast, set a timer, and play music. 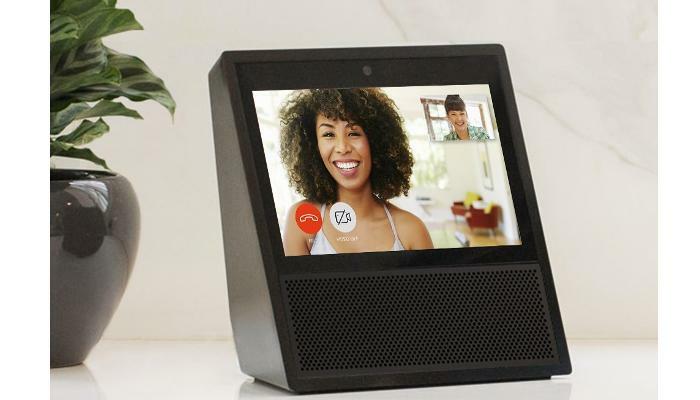 On top of that it's added some screen-centric tricks, such as voice and video calls and the ability to broadcast images from Ring and Arlo cameras around the home. It also hooks into other smart home devices, such as WeMo and Ecobee thermostats, and Philips Hue light bulbs. Amazon packed the device with eight microphones, beam-forming technology, and noise cancellation for better voice recognition. Amazon says it can even hear you while blasting your favorite tunes. 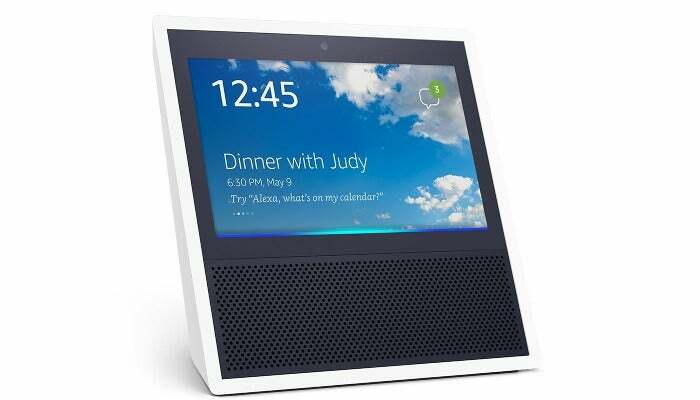 The Echo Show is available for pre-order now in black or white and starts shipping on Wednesday, June 28. Amazon is also handing out $100 discounts when you order two Echo Shows and use the code SHOW2PACK at checkout. The story behind the story: When the Echo first showed up in 2015 it was a revolution. Voice control had finally come into its own. Sound was the interface. It was simple and elegant with no visual component necessary save for a subdued blue light. It was followed by the Google Home in 2016, and in the fall, Microsoft's Cortana will power a smart speaker from Harman Kardon. Meanwhile, rumors continue about Apple's plans for a Siri-powered speaker. All those speakers may have to play catch-up once again, as Amazon tries to stay ahead of the pack with the Echo Show. While some users may balk at the idea of yet another screen in their house, the Echo Show does add some helpful new features. In many ways it could become the kitchen tablet the iPad never really was. The display coupled with always-ready voice activation means you can watch instructional YouTube videos hands-free on a device angled to make viewing easy from a standing position. You could also use the Echo Show to view a weather forecast or get a "video flash briefing" from CNN. It appears there is no web browser, however, and it's not clear if the device can stand up to the inevitable spills and splashes of a kitchen. The video and voice calling feature for the Echo Show uses Amazon's own calling service as opposed to integrating with a more common chat app. That's not surprising since the best options are Google's Hangouts or Microsoft's Skype, and both are competing in the smart speaker space with their own voice-powered assistants. The end result of an Amazon-only chat service is that you can only talk to someone who also has an Echo device (including the Echo and Echo Dot) or the Alexa app on their phone or tablet. The Show also has a messaging feature called Drop In that lets you automatically message other Echo devices to alert your family when dinner is ready, that it's time to turn off the TV, or to check on a relative living alone. This article was updated at 12:52 PM on May 9, 2017 to clarify that Echo devices are always ready for voice activation.